You can also join a campaign to collect stories from the 2008 financial crisis. Sign up for Take Action Now and we’ll send you three meaningful actions every Tuesday. 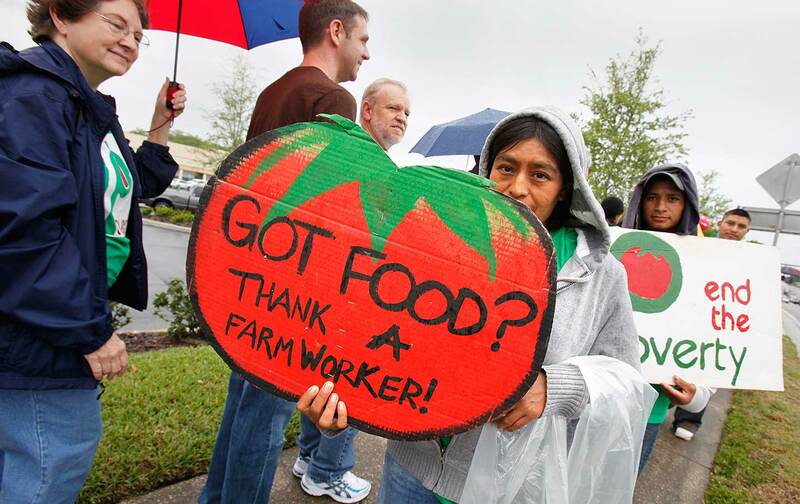 This week, farmworkers from the Coalition of Immokalee Workers (CIW) are fasting for five days outside the Manhattan office of Wendy’s Board Chairman Nelson Peltz. They’re demanding that the fast-food giant join the Fair Food Program, a worker-driven monitoring program that has a proven track record of stopping sexual harassment and violence in the fields. Despite the program’s success and the participation of some of the world’s largest retail food companies (including McDonald’s, Burger King, and Subway), Wendy’s refuses to join. This week’s Take Action Now newsletter features actions you can take to support this inspiring campaign, along with a call for stories about the 2008 financial crisis. Call Wendy’s Board Chairman Nelson Peltz and demand that he bring Wendy’s into the Fair Food Program. You can find a script and more information here. You can also sign a Change.org petition in support of the workers here. Finally, if you’re in New York, join the farmworkers and their allies for the Time’s Up Wendy’s March this Thursday in Manhattan. This year marks a decade since the 2008 financial crisis—and many of those affected have yet to recover. As part of its campaign to demand that the New York Federal Reserve pick a president that will stand up to Wall Street, the Center for Popular Democracy is collecting stories from those affected by the crash. Watch and share some of those stories, then submit your own. Bring CIW’s campaign to your local Wendy’s. They’ve created a letter that you can print out and deliver to the manager, along with a request that they pass it along to their bosses. You can find the letter here and more information about how you can bring the campaign to your community here.